Although cycling outdoors in the cold, wind and rain definitely toughens you up – we are very much fans of using a turbo trainer in the winter. You can create structured workouts and make the most of your training time, and you don’t need to spend ages cleaning your bike afterwards. 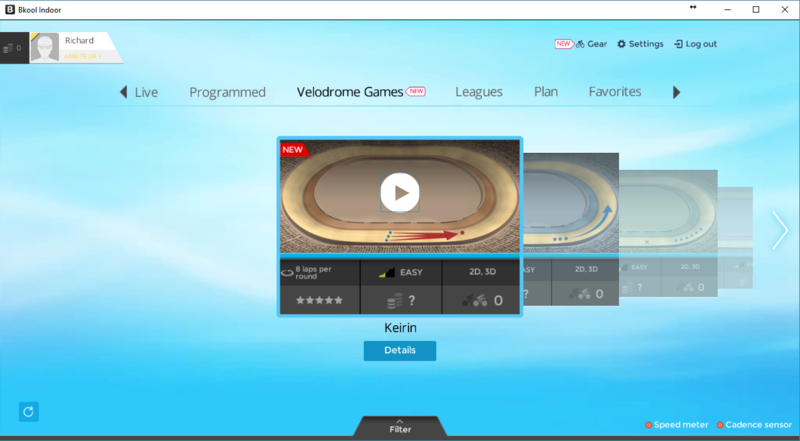 They can be a bit dull though which is why two new interactive, web-based trainers have now entered the market. 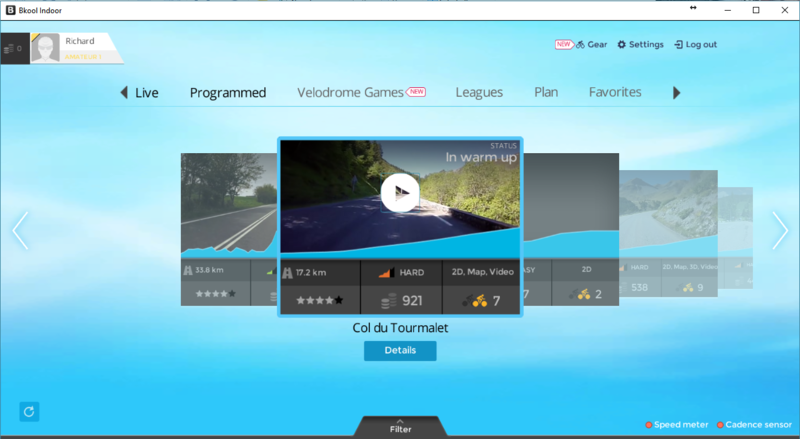 Zwift and Bkool are both online systems that work with a turbo trainer and wireless speed / cadence / power sensors to let you ride a variety of courses and compete against other cyclists in the style of a Massively Multiplayer Online Game (MMORG). 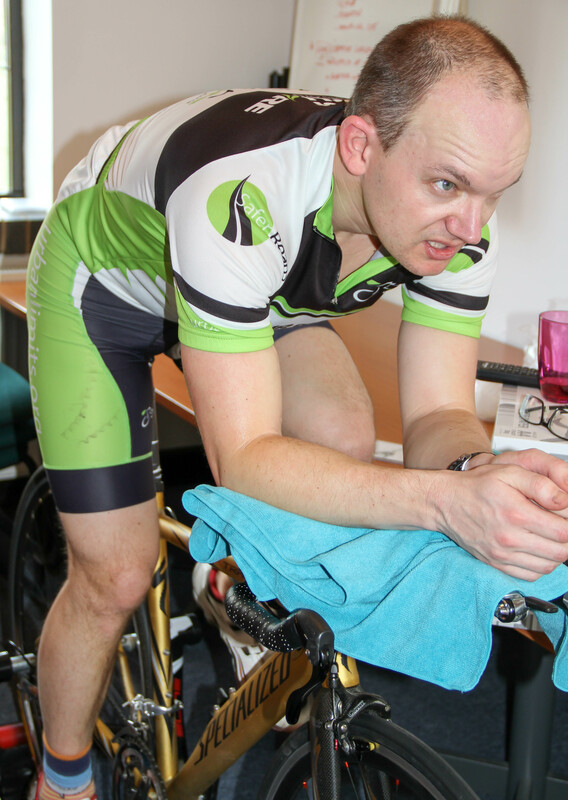 We spent some time checking out Bkool system to see if it livened up our bi-weekly turbo sessions. 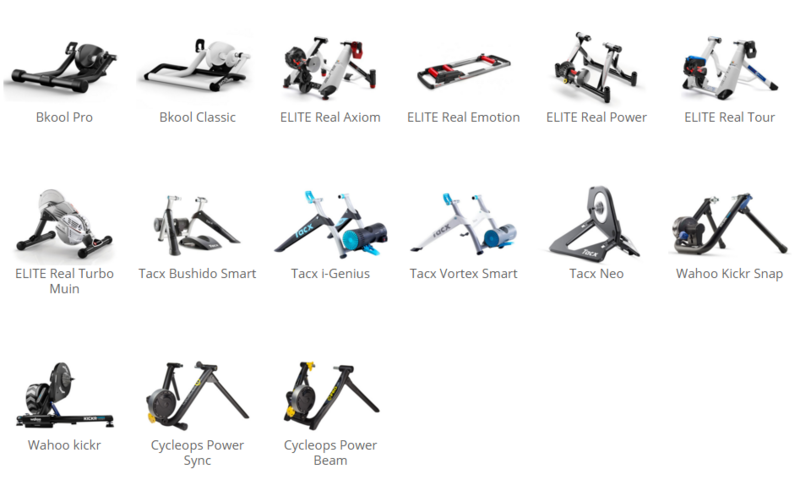 There are a few different ways you can get into Bkool and the one they would prefer is if you bought their smart turbo trainer. You can buy it as a bundle with the premium interactive simulator via their website with a free 30 day trial for £488 or just pay £360 for the trainer on its own from many different online shops. As it’s a smart-trainer it will broadcast speed and power via ANT+ to a device of your choosing. This could be a tablet or smartphone (with device-specific ANT+ dongle), or most likely to your PC / Mac using the bundled ANT+ USB dongle. 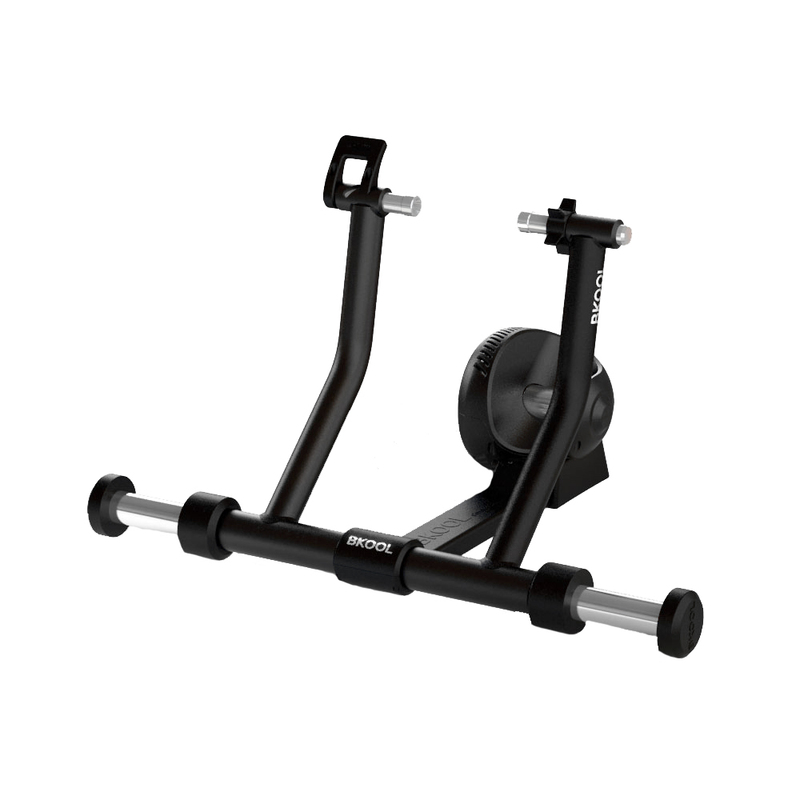 Not only will this allow you to record your workout, it can also be used to control the resistance on the trainer to simulate hills. You can of course use your own smart trainer – as long as it’s on the list of supported devices (see below). 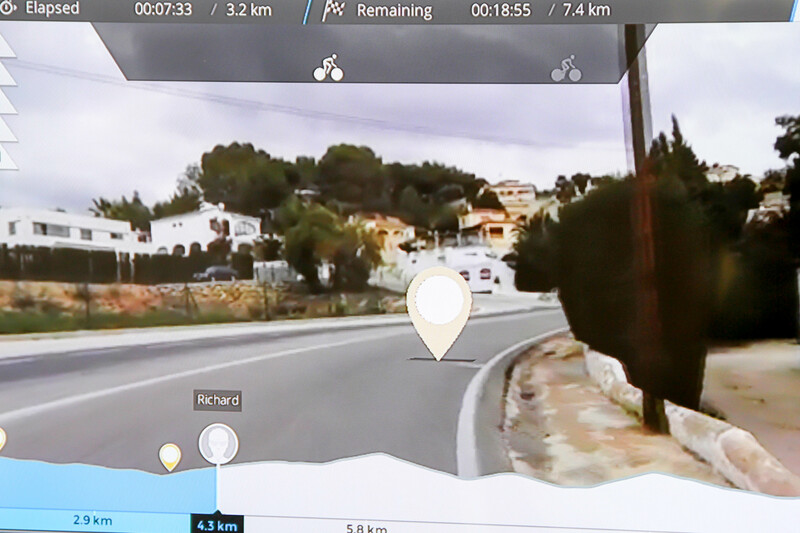 It will work with non-smart trainers too but there are not many that have calibrated speed / power curves, something other systems such as TrainerRoad manage quite easily with their VirtualPower system. Bkool could of course add more trainers but that would probably draw sales away from their own hardware. 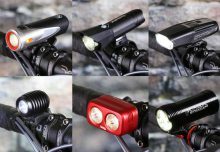 You will of course need a wireless ANT+ speed sensor for your bike which is going to set you back around £20. If your dumb trainer isn’t on the list you can still use Bkool but the speeds and power ratings aren’t going to be accurate making the whole online competition thing a bit pointless. Fortunately our Elite Fluid trainer was on the list so we picked up a Garmin ANT+ speed sensor and a cheap USB dongle and got cracking! Finding people to ‘play’ with was tricky at first. We signed up for the Velodrome Games but nobody arrived. Well, that got the 10 minute warm up out of the way at least. 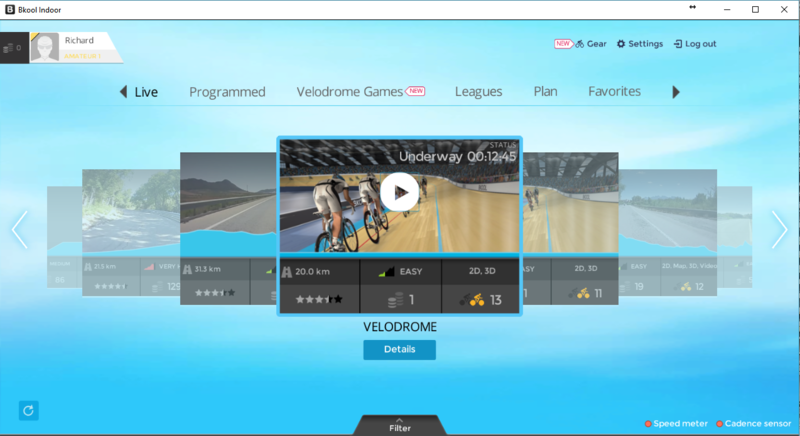 Going to the Live section was much more successful with several Velodrome sessions already underway. 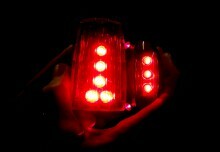 Once on there we saw half a dozen riders, plus programmable ‘ghosts’ circling the track. At first this was quite exciting as we practiced drafting, then doing some sprints before being completely destroyed by ‘Roberto’ who was averaging 45kph! It did get dull quite quickly and it’s a shame the competitions didn’t have many players. This could have been due to the time of day and there may well be many more people playing online in the evenings. Having been so comprehensively destroyed on the first outing it did make us wonder how easy it would be to ‘dope’ the system. It would be less easy to do on the smart trainers but with the dumb ones relying on estimated power curves you could definitely boost your performance by selecting a tougher trainer. 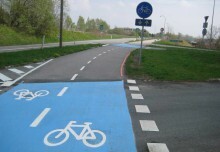 Our next session took us onto the roads with a trip to Spain on the Port del Vidre course. As this was an open session there were already riders on the course, not that we would have much chance of catching them up! If you all start the session at the same time that would work much better so perhaps worth arranging with friends in advance. The system speeds up and slows down the video as your pace changes and it works reasonably well, until you start going very quick then it just looks a bit like one of those old James Bond movies with the sped-up footage (a bit naff). If you are using a smart trainer then the resistance level will change, forcing you to change gears – or just push harder. On the dumb trainers it adjusts your speed artificially on the screen. Once again, we found it great fun at first but somehow looking at videos of hot Spanish roads didn’t really inspire us and the lack of competition between riders wasn’t helping. Perhaps a more attractive course would work together with a smart trainer to really punish the legs, rather than just artificially changing the speed. You can create your own training sessions, adding ‘ghosts’ to race against or even real people who have ridden the course before. It’s not as great a ‘live’ experience but would offer more of a personal challenge. You can change your clothing and avatar if that’s your thing and the software will synchronise with your Strava or Garmin accounts. We didn’t try the app versions of the software so can’t comment on how well they worked but the PC software was glitch-free and easy to use. Oh, and you can video your own rides and upload them to the site. Not sure how many people would bother to do this but it could be a good way or training on your favourite local hills. It definitely beats monotonous turbo sessions but without a smart trainer the value is limited. Even then we think it may get a little tiring after a while. The list of dumb trainers supported needs to be bigger and there should be different pricing structures depending on what type of trainer you use. An offline-mode would be good too as the thing just doesn’t work without an internet connection.